Home » News » Happy 223rd Birthday John Keats! Happy 223rd Birthday John Keats! 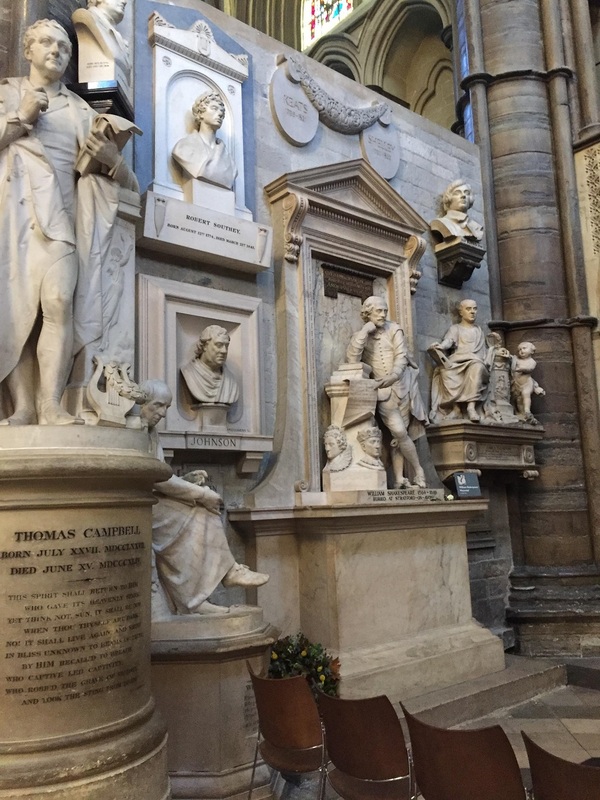 The Keats Foundation in partnership with the Poetry Society and Keats House, Hampstead, celebrated the birth of poet John Keats on 31st October with a service in Poets’ Corner, Westminster Abbey. 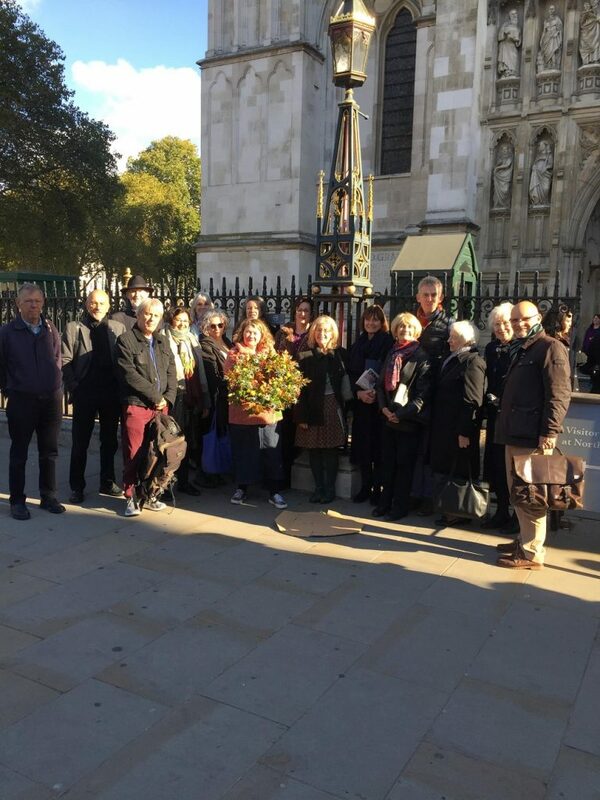 In an annual event, fans of John Keats gathered at the Abbey to read a selection of his poems and lay a wreath by the Keats memorial in Poets’ Corner (high on the wall above Shakespeare). 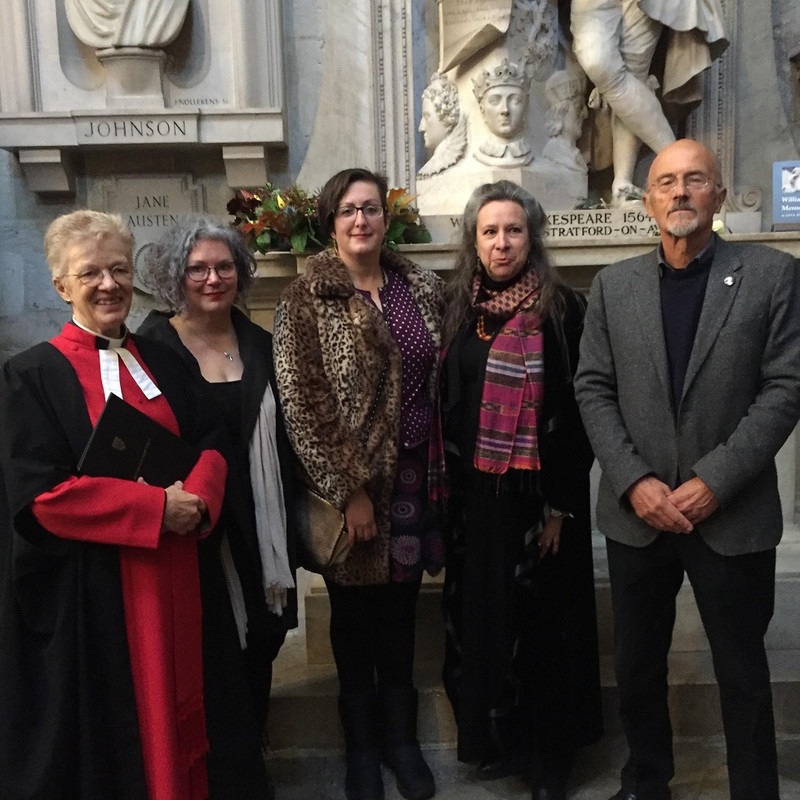 The Reverend Jane Sinclair, Canon in Residence, welcomed poets to the Abbey, giving thanks for John Keats and all the poets who “perceive the world afresh”, “enthral and provoke us to thought, reflection and wonder”, and cause us to “explore the richness and diversity of our common nature”. The programme is put together by Keats Foundation Trustee Judith Palmer, who is also the author of this report. This year it featured Keats’s poems “The poetry of earth is never dead” read by Kate Noakes, ‘When I have fears that I may cease to be’ read by Chris Hardy, and an extract from Keats’s February 1818 letter to his friend Reynolds read by Katy Evans-Bush including his famous contention “We hate poetry that has a palpable design upon us”: “Poetry should be great and unobtrusive, a thing which enters into one’s soul, and does not startle it or amaze it with itself – but with its subject”. 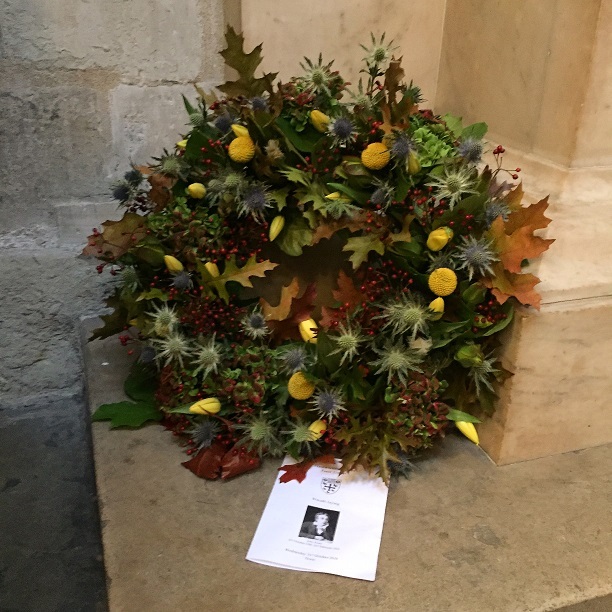 The wreath, which had an autumnal woodland theme this year, was laid by Keats House ambassador Barbara Goldstein and bookseller Danielle Van Emden of West End Lane Books. Mab Jones read from a letter Keats wrote on his 23rd birthday, exactly 200 years ago, on 31 October 1818, in which he entreated his brother George and sister-in-law Georgiana: “Be as happy as you can. Think of me, and for my sake be cheerful”’. Friends of the Keats Foundation, Poetry Society and Keats House gathering outside Westminster Abbey.